Frank Skinner: As we all know, ITV is celebrating its fiftieth birthday this week, coincidentally 1955 was also the year James Dean's was killed in a fatal car cash. Yes, 50 years ago they both hit the screen. This is such an enjoyable programme. Often quite excellent, it never falls below the label 'good' for entertainment value. Frank Skinner is a fantastic comedian, and this show is brilliant to watch in recording, or live, depending on how it's done for each series. 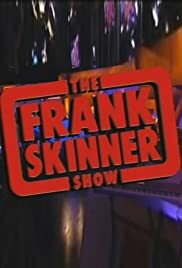 The show will start with Frank singing 'Fun Time Frankie', the theme tune, with musical backing from The Skinnerettes, of whom sadly 2 of the original 4 are now deceased. The Skinnerettes are a team of veteran musicians Frank uses for this. Frank will then launch into his stand-up routine and will show a sketch he has created, often hilarious, and these are based on recent news and events. Then Frank introduces a guest, and this is usually followed by a second guest after the break. 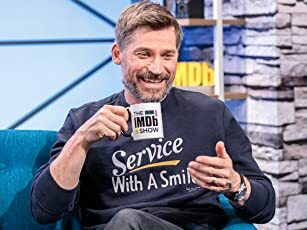 He always has good people on and the show is very memorable. Very funny. Past guests include Britney Spears, Kylie Minogue, Tony Blair, Westlife and Ant & Dec. A great show, just like most of Frank's accomplishments, and very worth watching.